The Extensa HP II delivers improved performance in wet, dry and snow conditions. Its stylish high performance directional tread design and new compound is perfect for sports cars and spirited drivers wanting a sporty ride at a great value. The Extensa HP II stops up to 31 feet shorter in wet conditions than its predecessor* and offers up to a 45,000 mile warranty. 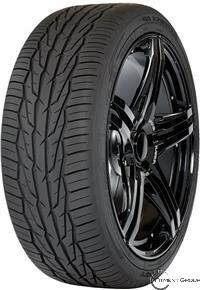 The tire also comes with the Toyo Tire No Regrets 500 mile/45 day trial offer.